Whether you live in a large country house, period property or bungalow, a conservatory is the perfect addition to any home – adding space, value and light to your property. 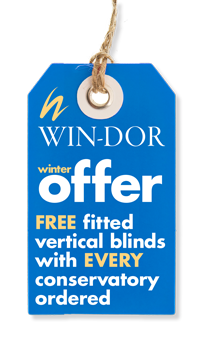 Win-Dor offer a wide range of conservatories in both contemporary and classical designs, and we can even create bespoke conservatories from your designs. Additionally, we can offer you a choice of both glass and polycarbonate roofs. 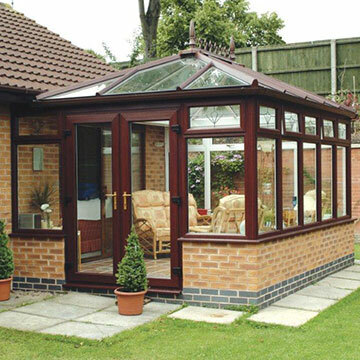 Our conservatory frames and roofs provide excellent levels of performance and ease of installation. Because they are injection moulded, we can guarantee consistent finishes and quality, and we can coordinate sightlines to make sure that the finished product is aesthetically pleasing. 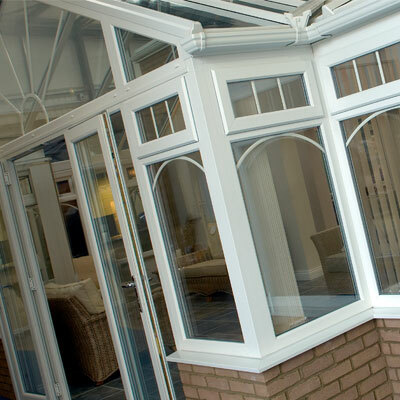 With appropriate glazing, our conservatories are efficient, but also able to regulate light and temperature levels to those which you find most comfortable. The most popular style of conservatory, our Victorian style conservatories are a versatile choice for numerous house styles. 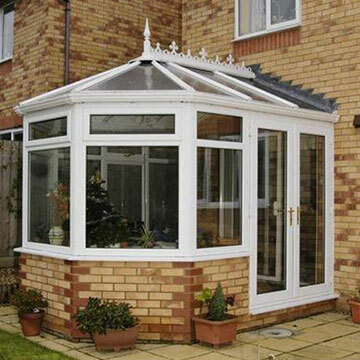 The Victorian conservatory is characterised by distinctive features such as a steep pitched roof and ornate detailing to suit a more traditional appearance. We can supply both 3 and 5 facet configurations, depending on whether you want a rounded or more angular appearance. If you’re looking for a clean and simple conservatory design, then our Edwardian conservatories are a perfect choice for you. They feature bold lines to create a timeless look which also helps to maximise interior space for enhanced levels of comfort and convenience. With high sloped roofs and the same levels of floor space as an Edwardian conservatory, a gable-fronted conservatory is excellent for those looking to add a sense of drama and theatre to a home. Rather than sloping back, the front panel is fixed upright so within the conservatory there is a greater sense of height. 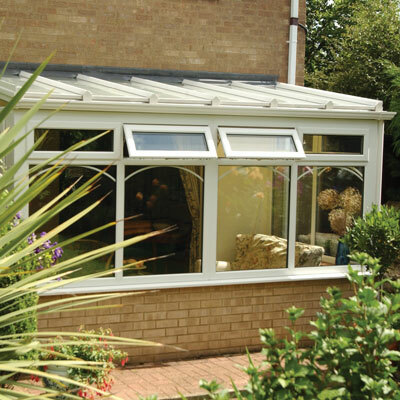 For those who prefer clean, understated lines of Mediterranean sun rooms, the lean-to conservatory is a good choice. Lean-to conservatories from Win-Dor are also a great choice for those with limited space, as they can be fitted with roofs with varying pitches to suit any type of house and multiple roof heights. Perfect for modern homes where impressive contemporary aesthetics are everything, the Reverse Lean-to conservatory style has a roof that slopes towards your home instead of away, maximising space and natural light transmission. P-shape conservatories offer excellent levels of versatility, as they can combine two different styles into one design. Their hybrid design makes them perfect for dual purpose living spaces, such as a lounge and family room combination, and like our Victorian conservatories they are available in both 3 and 5 facet styles. 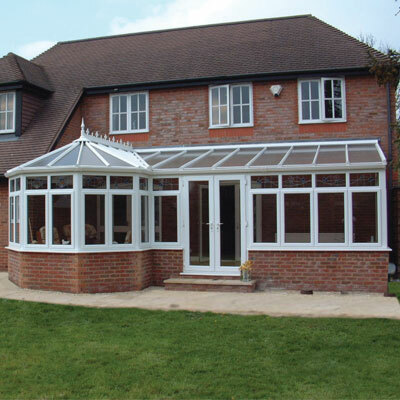 T-shape style conservatories are perfect if you want to expand a larger property. Characterised by a prominent central section – in either Victorian, Edwardian or Gable styles – a T-shape conservatory offers you a large and flexible floor space which would make a fine addition to any home. While all Win-Dor conservatories are bespoke, we can also provide you with fully personalised builds based on your own designs. 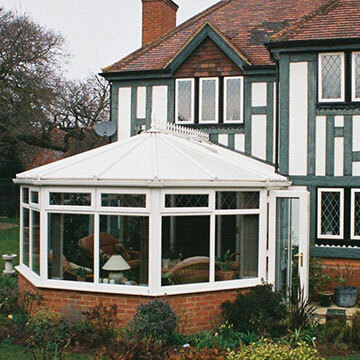 Whether you want something to exactly match your home’s existing features, or desire a slight twist on an existing style, Win-Dor can supply you with a conservatory exactly to your specification.